Happy Father’s Day to all the dads out there! Don’t take trust for granted. Remember, trust is not a destination, it’s a journey. Travel well! I have a motto when it comes to honesty and transparency at work: Spin belongs in the gym, not the workplace. Spinning the truth is one of the most common ways leaders bust trust. It also leads to tremendous inefficiencies because people are confused about roles, they duplicate work, balls get dropped, and people resort to blaming others. Poor morale, cynicism, and political infighting become the norm when honesty and transparency are disregarded. There are macro-level societal events and trends driving the need for greater transparency in the workplace. We’re all familiar with the digital privacy concerns related to the pervasiveness of technology in our lives, and we’ve witnessed the corporate scandals of blatant deceit and dishonesty that’s contributed to record low levels of trust. The global meltdown of trust in business, government, and other institutions over the last several years has generated cries for more transparency in communications, legislation, and governance. Oddly enough, research has shown that in our attempts to be more transparent, we may actually be suffering an illusion of transparency—the belief that people are perceiving and understanding our motivations, intents, and communications more than they actually are. Provide access to information. In the absence of information, people will make up their own version of the truth. This leads to gossip, rumors, and misinformation which results in people questioning leadership decisions and losing focus on the mission at hand. Leaders who share information about themselves and the organization build trust and credibility with their followers. When people are entrusted with all the necessary information to make intelligent business decisions, they are compelled to act responsibly and a culture of accountability can be maintained. Speak plainly. Avoid double-speak, and reduce or eliminate the use of euphemisms such as right-sizing, optimizing, gaining efficiencies, or other corporate buzzwords. When people hear these words, their BS detectors are automatically activated. They immediately start to parse and interpret your words to decipher what you really mean. Speak plainly in ways that are easily understood. Present complicated data in layman terms and focus on having a dialogue with people, not bombarding them with facts. Our team members are big boys and girls, they can handle the truth. Be a straight-shooter, using healthy doses of compassion and empathy when delivering tough news. Share criteria for making decisions. When it comes to making tough decisions, I believe that if people know what I know, and understand what I understand, they will be far more likely to reach the same (or similar) conclusion I did. Even if they don’t, they will usually acknowledge the validity of my decision-making criteria and respect that I approached the process with a clear and focused direction. Unfortunately, many times leaders are afraid to share information or their decision-making criteria because they don’t want to be second-guessed or exposed to legal risk. We’ve become so afraid of being sued or publicly criticized that we tend to only share information on a “need to know” basis. Sharing information on your decision-making process will help people buy into your plans rather than second-guessing them. Create communication forums. A lack of communication is often the root of dysfunction in organizations. The left hand doesn’t know what the right hand is doing and no one seems to take ownership of making sure people are informed. Everyone likes to blame the Corporate Communications department for the lack of information sharing in the organization, but that blame is misplaced. Let me tell you who has the big “R” (responsibility) for communication—YOU! If you’re a leader, it’s your responsibility to create forums to share information with your team. Ultimately, this starts at the top. A President or CEO cannot delegate communications to some other function. It’s the top dog’s responsibility to ensure alignment all throughout the organization and the only way that starts is to frequently and openly communicate. The forums for communication are only limited by your imagination: town hall meetings, email updates, newsletters, video messages, department meetings, lunch gatherings, and team off-site events are just a few examples. Spin is a great activity for the gym and it keeps you in fantastic shape. However, in the workplace, spin is deadly to your health as a leader. It leads to low trust, poor morale, and cynicism in your team. Keep spin in the gym and out of the workplace. In 1997 I asked my boss to consider allowing me to telecommute on a part-time basis. My proposal went down in flames. Although the company already had field-based people who telecommuted full-time, and my boss herself worked from home on a regular basis, the prevailing mindset was work was someplace you went, not something you did. Fast forward a few years to the early-2000’s and I’m supervising team members who worked remotely full-time. The exodus continued for a few years and by the mid-2000’s nearly half my team worked virtually. A little more than 20 years after I submitted my telecommuting proposal, the world has become a smaller place. My organization has associates in Canada, the U.K., Singapore, France, and scores of colleagues work out of home offices around the globe. Establish the profile of a successful virtual worker – Not everyone is cut out to be a successful virtual worker. It takes discipline, maturity, good time management skills, technical proficiency (you’re often your own tech support), and a successful track record of performance in the particular role. I’ve always considered working remotely a privilege, not a right, and the privilege has to be earned. You have to have a high level of trust in your virtual workers and they should be reliable and dependable performers who honor their commitments and do good quality work. Have explicit expectations – There needs to be a clear understanding about the expectations of working virtually. For example, my team has norms around the use of Instant Messenger, forwarding office phone extensions to home/cell lines, using webcams for meetings, frequency of updating voicemail greetings, email response time, and out-of-office protocols just to name a few. Virtual team members generally enjoy greater freedom and autonomy than their office-bound counterparts, and for anyone who has worked remotely can attest, are often more productive and work longer hours in exchange. A downside is virtual workers can suffer from “out of sight, out of mind” so it’s important they work extra hard to be visible and active within the team. Understand and manage the unique dynamics of a virtual team – Virtual teams add a few wrinkles to your job as a leader and a specific one is communication. It’s important to ramp up the frequency of communication and leverage all the tools at your disposal: email, phone, webcam, instant messenger, and others. It’s helpful to set, and keep, regular meeting times with virtual team members. One of the biggest challenges in managing a virtual team is fostering a sense of connection. They aren’t privy to the hallway conversations where valuable information about the organization is often shared, and they miss out on those random encounters with other team members where personal relationships are built. Team building activities also look a little different with a virtual team. Potluck lunches work great for the office staff, but can feel exclusionary to remote workers. Don’t stop doing events for the office staff for fear of leaving out virtual team members, but look for other ways to foster team unity with remote workers. For example, when we’ve had office holiday dinners and a Christmas gift exchange, remote team members will participate in the gift exchange and we’ll send them a gift card to a restaurant of their choice. For many jobs, work is no longer a place we go to but something we do, from any place at any time. Virtual teams aren’t necessarily better or worse than on-site teams, but they do have different dynamics that need to be accounted for and managed, expectations need to be clear, and you need to make sure the virtual worker is set up for success. We’ve all probably had an instance or two when our boss hasn’t shown trust in us. I recall one situation where I was bypassed for a critical project. I felt demoralized that I wasn’t trusted enough to get the assignment. I was ticked-off at my boss’ decision and I also felt disappointed in myself for not having done enough to earn the trust of my boss so that I was the natural first choice when this project came along. There could be dozens of reasons why your boss doesn’t trust you in a particular situation, but they all can be traced back to the ABCD’s of trust: able, believable, connected, and dependable. Research has shown these four elements comprise trust in a relationship. A fundamental truth about trust is that it’s based on perceptions, and it’s our use of trustworthy or untrustworthy behaviors that cause others to form a perception about our trustworthiness. If your boss is showing a lack of trust in you, examine the behaviors you’re using, or not using, under each of these four elements of trust to determine which element of trust is lacking. Able—Demonstrating Competence. Being able means you possess the skills, knowledge, and expertise appropriate for your role or job. You demonstrate your competence by establishing a track record of success, consistently achieving your goals, and effectively solving problems and making good decisions. Could it be there is an element of your competence that you boss doesn’t quite trust? If so, what could you do to build your competence in that particular area? Believable—Acting with Integrity. Integrity is at the heart of trustworthiness and it’s impossible to be fully trusted without it. High integrity people are honest, tell the truth, admit their mistakes, and act in alignment with their values and those of the organization. They walk the talk. If you’ve ever cut corners, taken the easy route instead of the harder but more ethical path, or refused to take ownership of your mistakes, it may be your boss has doubts about your believability. Connected—Caring about Others. Trustworthy people value relationships. They care about people and act in ways that nurture those relationships. Connected people establish rapport with others by finding common ground and mutual interests. They share information about themselves and the organization in a transparent fashion, trusting others to use information wisely. Most of all, connected people are others-focused. They place the needs of others ahead of their own. When you examine your relationship with your boss, do you need to strengthen your connectedness with him or her? People trust people they like and know, and you can’t underestimate the power of a personal connection in the workplace. If there is a lack of trust with your boss in this area, explore ways to build a deeper level of connection. Dependable—Honoring Commitments. Fulfilling promises, maintaining reliability, and being accountable are critical aspects of being dependable. Trustworthy people do what they say they’re going to do. They don’t shirk responsibility or hold themselves to a different (i.e., lower) standard than others. In my experience, a lack of dependability is one of the chief causes for low trust in workplace relationships. As a leader myself, I need to be able to depend on my team members to do what they say they’re going to do, when they say they’re going to do it. Even if I have a high level of trust in a person’s ability, believability, and connectedness, if I can’t depend on them to come through in crunch time, I’m not going to trust them with critically important assignments. Every language is built upon an alphabet, and the language of trust starts with the ABCD’s: able, believable, connected, and dependable. If your relationship with your boss is lacking in any of these elements, don’t worry, you can fix it. Building trust is a skill and you can learn how to become more trustworthy. But you need a game plan. Consider attending our upcoming virtual training session on Building Trust on May 29th. In this four-hour training (two, 2-hour virtual sessions), you’ll not only learn the framework of the ABCD Trust Model and the associated behaviors that lead to high-trust relationships, you’ll take a self-assessment to understand your strengths and growth areas in relation to the ABCD’s of trust, gain practical skills in how to have trust-building conversations, and learn a three-step model for rebuilding broken trust. Seats are limited so register now! If the winningest coach in the history of college basketball says trust is a prerequisite for successful teams, then I stop to listen. But beyond the wisdom of Coach K, there is plenty of research that supports the critical role that trust plays in teams. High levels of trust can propel a good team to the level of greatness, fulfilling the old adage that the sum is greater than the parts. Yet trust doesn’t happen by accident. The team needs to openly acknowledge that trust is a business requirement, vital to its success, openly discuss issues of trust, and put forth intentional effort to build and nurture trust in the team’s operations. When I reflect on the study and research of teams that I’ve conducted, as well as my own experience leading and working in teams inside and outside the workplace, there are four key pillars of high-trust teams that stand out. Safety—Sometimes the best way to describe something is to look at its opposite. The opposite of safety is fear. In a culture of fear, team members don’t take risks, innovate, or use their creativity out of fear of recrimination. Self-interest trumps the good of the team and secrecy, gossip, and poor morale are the norm. To develop a culture of safety, the team needs to encourage responsible risk-taking and eliminate the fear of repercussions. Mistakes are treated as learning moments and personal accountability is celebrated. A team leader taking ownership and admitting her mistakes is perhaps the most powerful act in creating team safety. Safety is also developed when leaders encourage healthy and respectful debate and transparently share information. To a person, members who feel safe in a team believe the team leader has their best interests in mind and personally cares for them. Simon Sinek’s popular TED talk video, “Why Good Leaders Make You Feel Safe,” expounds on this truth of high-trust teams. Dependability—High-trust teams are characterized by team members who keep their commitments. Dependability, or following through on commitments, is one of the most widely recognized traits of trustworthiness. It doesn’t matter the context or type of team, dependability is a must. If you’re part of a football team, your team members count on you to run the right play and be in the right position at the right time. If you’re building a house for Habitat for Humanity, then your team is expecting you to finish your part of the job so they can work on theirs. If you’re part of a project team at work, your colleagues are depending on you to complete your assignments on time so the team meets its deadline. High-trust teams have a “no excuses” approach to working with each other. They follow the mantra of Yoda: “Do or do not. There is no try.” Team members have a sense of personal ownership and communicate openly and quickly if obstacles get in the way of meeting their commitments. Competence—Don’t make the mistake of thinking high-trust teams are composed of a bunch of folks who like to hug, hold hands, and sing Kumbaya around the campfire. High-trust teams are filled with people who are highly competent in their roles. They take pride in extensive preparation and strive to always deliver their best work. Team members expect each other to bring their “A” game each and every day. 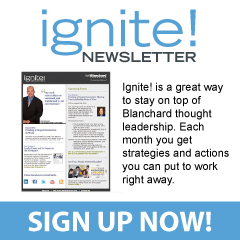 If people slack off, then direct conversations occur to get that team member back on track. I like to remind my team that everyday at work is a job interview and each of us should bring our best effort to the table. Team members who value competence know that learning is a life-long pursuit. They constantly develop their expertise and are willing to share their knowledge with team members because it makes the team stronger as a whole. Character—The best teams, those with high levels of trust and productivity, are filled with team members of high integrity. They exhibit a personal code of conduct that compels them to choose the right path, even if it’s the harder one. These kind of team members exhibit a “we, not me” mentality. They consider the needs of the team a higher priority than their personal desires. In sports, this is the team member who comes off the bench and gives her all, even though she feels like she should be in the starting lineup. In the workplace, it’s the team member who has the courage to confront another team member who isn’t acting in alignment with the team’s values or norms. High-character team members have the mental and emotional fortitude to stand for what’s right, knowing that in the end, it’s better to come in second place having gone about their work the right way, rather than lying or cheating their way into first place. 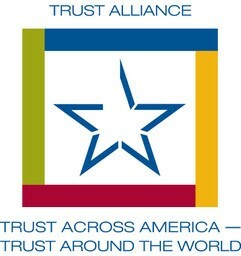 Trust has been described as the “magic ingredient” of organizations. It is simultaneously the glue that holds everything together, while also being the lube that allows all the parts to work together smoothly. In order to make that magic a reality in our workplaces and take our teams to the next level, we need to focus on creating safe environments where people can fully commit to bringing their best selves to work, build systems and processes that encourage personal dependability, commit to continuously developing the competence of team members, and demand ethical behavior as the ticket of admission for being part of our teams. Insufficient Funds—Maybe you’ve had that awkward experience when you’ve reviewed your bank account statement and discovered you made a purchase but didn’t actually have enough money in your account to cover it. Most likely you had overdraft protection on your account. That’s where the bank will advance you the money, allow the payment to be processed, but charge you an extra fee for covering your indiscretion. Overdraft protection is valuable insurance, because even though you may not intend to spend money you don’t have, sometimes you overdraw your account by mistake. Sometimes we overdraw our relational bank accounts too. Careless words that hurt feelings, angry reactions that leave emotional scars, or broken promises that lead to disappointment…all examples of an overdrawn relational bank account. Address the issue directly – I confronted my colleague about what she said and was able to honestly share my feelings with the confidence it would lead to productively repairing the situation rather than making it worse. Discuss the issue openly and honestly – Trust allowed us to talk about the issue objectively and without fear of reprisal. Our history of trust had demonstrated we were both committed to the value of the relationship and were willing to discuss the hard issues in a way that was respectful and honoring to each other. Hear each other – It’s one thing to listen, it’s another to actually hear what’s being said. The trust we have in our relationship allowed us to hear one another. My colleague was able to hear how I felt about what she said and I was able to hear about what the intentions were behind her words. Trust serves many purposes in a relationship. It’s the foundation of all successful, healthy relationships, and it’s also the fuel that powers relationships to higher levels of growth and intimacy. Trust is the lubrication that keeps relationships functioning smoothly, and thankfully, it’s the overdraft protection when relationships get overdrawn. Leave a comment and feel free to share about your own experiences where trust has provided overdraft protection in your relationships. My fellow trust activist, Dominique O’Rourke, recently published her reflections on the results of the 2018 Edelman Trust Barometer. I enjoyed her “straight talk” perspective and agree with her conclusions. There are obvious steps leaders can take to address the crisis of trust in our major institutions, but it requires strength of character to do the right thing. Often times the right choice flies in the face of the easiest or most popular path endorsed by those who tend to benefit the most from the decision being made. It’s time for leaders of all organizations to quit focusing on self-interest, stop appeasing the desires of the most powerful, and start serving the greater good of all stakeholders. 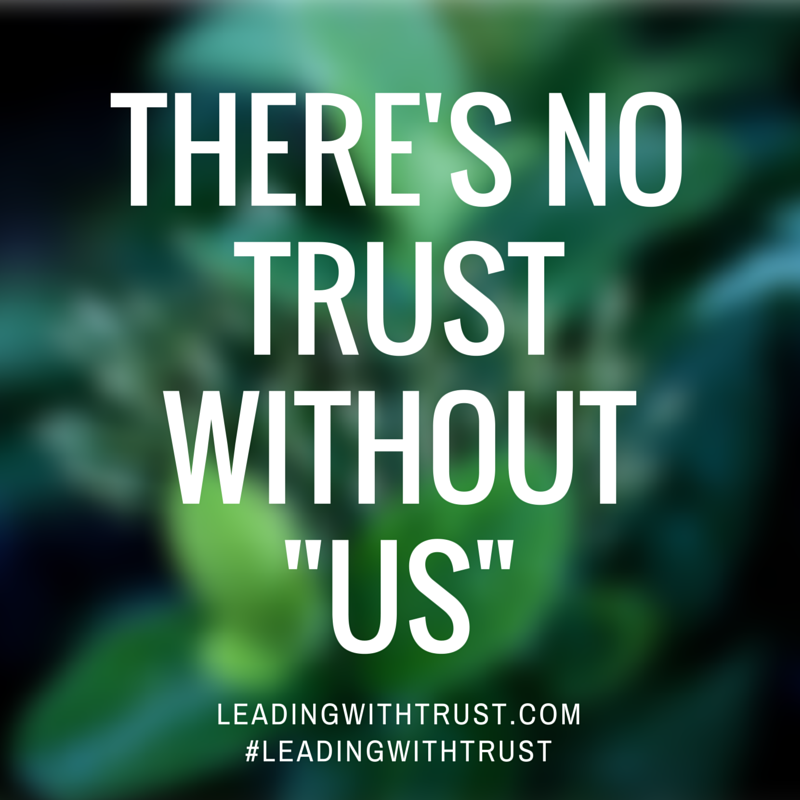 We don’t have a crisis of trust so much as we have a crisis of untrustworthy leaders. “A Battle for Truth” and “Trust Crash in the U.S.” proclaimed last week’s 2018 Edelman Trust Barometer. Then, the usual, ridiculous hand-wringing ensued. Yet, there’s plenty of research in business strategy and ethics that points the way out of this quagmire; and it’s not the inter-personal stuff you may be familiar with. I’m talking real business practices and systems that make your organization more trustworthy and therefore, more trusted. Trust has tangible bottom-line benefits. The need for macro-level trust interventions is urgent. Here’s what scholars Reinhardt Bachmann and Andrew Inkpen pointed out in the wake of the 2007-2008 financial crisis. As I have in years past, I was able to catch-up with Santa Claus for an exclusive one-on-one interview. The jolly old man was kind enough to take a break from his final preparations on Christmas Eve to answer my questions about what makes him such a great leader. During our conversation, I learned that Santa believes trustworthiness is the number one key to his success, and he builds trust through four primary ways. Below is an excerpt of our conversation. Me: Hello Santa. It’s a pleasure to see you once again. Thank you for taking the time to meet with me. I know you’re quite busy. Santa: Hi Randy! It’s my pleasure to spend some time with you. I feel it’s the least I can do, considering all those years you spent on the “naughty” list as a child. Ha! You know I’m just pulling your leg. Me: I love your sense of humor Santa! You of all people know how close I actually was to being on the naughty list. Thanks for the grace you showed. I know you’re busy, so let’s get right to it. What makes you such a great leader? Santa: Well, leadership involves many things, but I would say the biggest key to my success has been being trustworthy. Me: That’s music to my ears, Santa. You know how important I think trust is to effective leadership. Tell me more about what makes you so trustworthy. Santa: I think there are four main things that make me trustworthy. First, it’s because I’m able. There’s a lot of moving pieces to this Santa gig, and I’ve had to develop the skills necessary to perform the job. I’ve mastered logistics, organization, sleigh-driving, reindeer development, elf management, toy production, and a host of other things. People trust me because they believe I know my stuff. And I do! Me: No one knows santa-ing more than you, that’s for sure! What else makes you trustworthy? Santa: A second aspect of my trustworthiness is that I’m believable. If I’m going to judge which children have been naughty and which have been nice, then I have to be above reproach myself. Nothing is more important to me than acting with integrity. I say what I mean, and I mean what I say. I’m honest, stick to my values, and walk the talk. Me: I couldn’t agree more, Santa. When I think of you, I have full confidence that you will always do the right thing. No one ever questions your judgment because you’ve been so consistent and steady in your behavior. You said there were four things that make you trustworthy. What are the other two? Santa: The third factor that makes me trustworthy is that I’m connected with others through caring relationships. Children around the world know that I care about them deeply. I love all children, even the ones who find themselves on the naughty list (which between you and me, there are actually very few that ever appear on that list). All the elves at the North Pole know that I care about them as well. I make it a point to learn the first name and position of every elf on my team, and I frequently walk the shop floor to chat with them and connect on a personal level. It’s one of the most enjoyable aspects of my job. Me: The love you have for the children of the world is evidenced by the joy you personify and the joy you give to others. What’s the fourth element of trustworthiness? Santa: The fourth element that makes me trustworthy is that I’m dependable. Above all, I’m counted on to deliver presents around the world on Christmas Eve. A R O U N D T H E W O R L D (Santa says in a slow, drawn out manner). Can you recall a Christmas where I haven’t delivered? No, you can’t. All the children are depending on me and I’d never let them down. If I say I’m going to do something, by golly, I do it! Me: That makes perfect sense Santa. You are trustworthy because you’re able, you have the skills needed to do your job well. You’re believable because you act with integrity. You’re connected with people on a real, authentic basis. And you’re dependable; you can be counted on to do what you say you’re going to do. Now that I think about it, the first letter of those four words form the acronym ABCD. The ABCDs of trust! Santa: That’s right! The ABCDs of trust. It’s the alphabet or language of trust, isn’t it?! Me: It sure is! I would also argue that it’s also the language of leadership. You can’t sustain long-term, effective leadership if you aren’t trustworthy. I think you’re one of the best examples of that truth. Santa: Thank you, Randy. I’m humbled by your compliments. It truly is a team effort between me, Mrs. Claus, and all the elves on our team. Teamwork makes the dream work! By the way, all the sports stars and coaches today stole that line from me! Me: Ha! You’re the best Santa. I know you have to be running. You’ve got a long night ahead of you. Thanks for spending time with me. Santa: You’re welcome! Merry Christmas to all, and to all a good night! I regularly work with individuals and teams to help them build trust in the workplace. Many people think trust just sort of “happens” in relationships, but there are actually four elements of trust you can proactively cultivate to have healthy and thriving relationships. Because I’m an advocate for building ever higher levels of trust, participants in my workshops often assume I think trust is a one-size-fits-all proposition, that all relationships should have the ultimate, highest level of trust. But when it comes to trust, not all relationships are at the same level. Based on the context of the given relationship—professional, personal, family, social—each one can experience a different level of trust. There are three basic levels of trust. The first level is deterence-based trust, or what I like to call “rules-based” trust. This is the most fundamental, base level of trust in all relationships. Deterence-based trust means that there are rules in place that prevent one person from taking advantage of, or harming another person. In society we have laws that govern our behavior in personal and business settings. When we engage in business we have contracts that ensure one party can trust another to hold up their end of the bargain. In organizations we have policies and procedures that provide boundaries for how we interact and treat each other, and if we violate those rules, usually there are consequences involved. The second level of trust is knowledge-based trust. This level of trust means that I’ve had enough experience with you and knowledge of your behavior that I have a pretty good idea of how you will react and behave in relationship with me. Because my experience with you has shown that you have my best interests in mind and will do what you say you’ll do, I feel safe enough to trust you in our everyday dealings. This is the level of trust that most of our day-to-day professional relationships experience. The third and most intimate level of trust we experience in relationships is called identity-based trust. This level of trust means that you know my hopes, dreams, goals, ambitions, fears, and doubts. I trust you at this level because over the course of time I have increased my level of transparency and vulnerability with you and you haven’t taken advantage of me. You’ve proven yourself to be loyal, understanding, and accepting. Identity-based trust isn’t appropriate for every relationship. This level of trust is usually reserved for the most important people in our lives such as our spouse, children, family, and close friends. Yet with the proper boundaries in place, this level of trust can unlock higher levels of productivity, creativity, and performance in organizations. Imagine an organizational culture where we operated freely without concerns of being stabbed in the back by power-hungry colleagues looking to move higher on the corporate ladder. Imagine less gossiping, backbiting, or dirty politics being played because we knew each other’s hopes and dreams and worked to encourage their development rather than always having a me-first attitude. Take a moment to examine the level of trust in your most important relationships. What level are you at with each one and how can you develop deeper levels of trust?